During the holiday season, food and I have a love-hate relationship. It seems like every holiday party and gathering is full of cakes, cookies, and goodies. However, all of this yummy food always comes with a price; and I always end up regretting my eating choices. 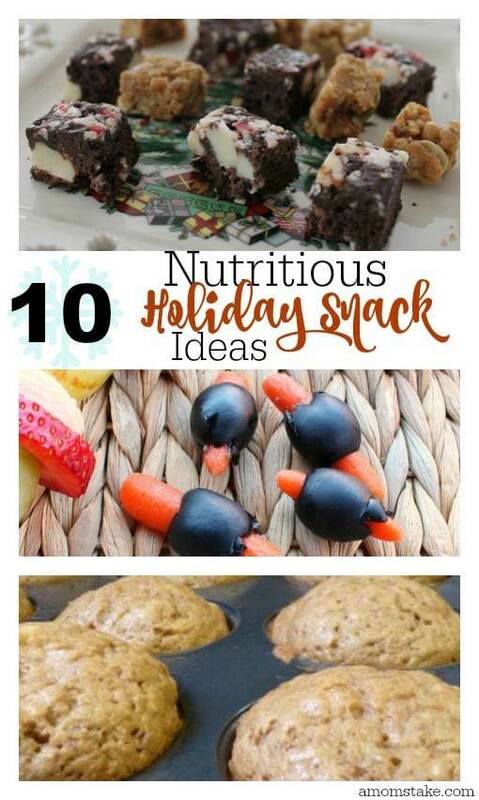 This year, I’ve made it a goal to stay on track during the holidays with these 10 Nutritious Holiday Snack Ideas. I received samples and compensation in exchange for this post. All opinions are my own. 1. 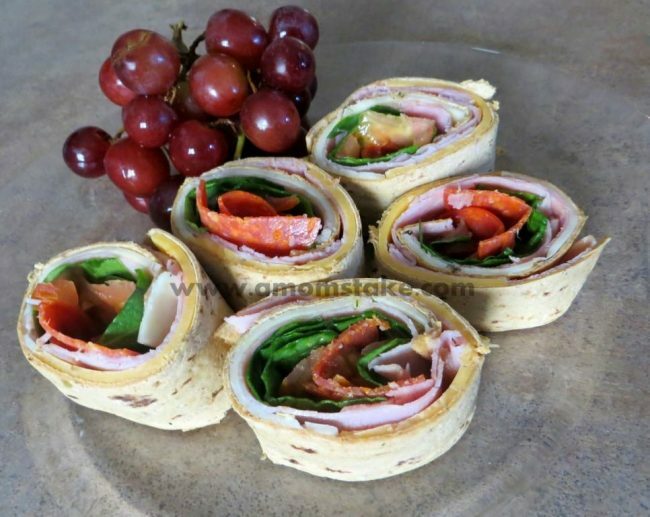 Pinwheel Party Sandwiches – load on extra veggies and use a low-fat spread/dressing. 2. Smoothies – smoothies are a great way to get in those fruits and veggies. A few of my favorites include the Aloha Pineapple Smoothie and these Spinach Smoothie Recipes. 3. Baked Parmesan Veggies – a tasty veggie option baked with delicious garlic and Parmesan flavors. Plus, these veggies make the perfect holiday side dish. 4. 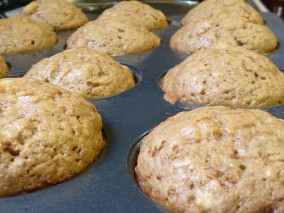 Banana Muffins – perfect for kids to munch on during the holiday break. 5. Greek Yogurt and Fruit Parfait – layer your fruit with Greek yogurt. 6. Salads – perfect for bringing to holiday gatherings! 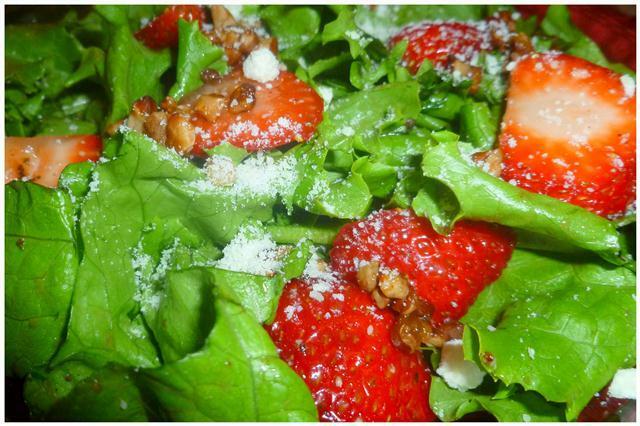 This Strawberry & Balsamic Herb Salad Recipe is sure to be an instant crowd pleaser. 7. Homemade Fruit Leather – all you need is 3 ingredients! 8. Fruit Kabobs – place your favorite fruit on a skewer. My son LOVES eating fruit from a skewer. 9. 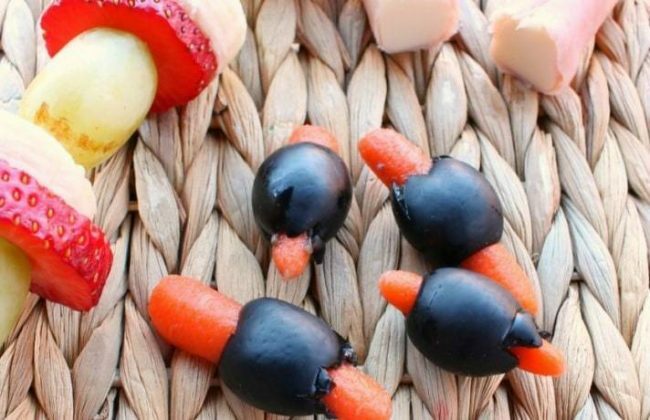 Carrots and olives – slice carrots in half and place them through olives. These make the perfect dippers for holiday gatherings. 10. ZonePerfect Perfectly Simple Limited Edition Bars: Perfect for the holiday season, ZonePerfect Perfectly Simple Limited Edition Bars are now available in delicious flavors such as Peppermint Bark and Pumpkin Chai. 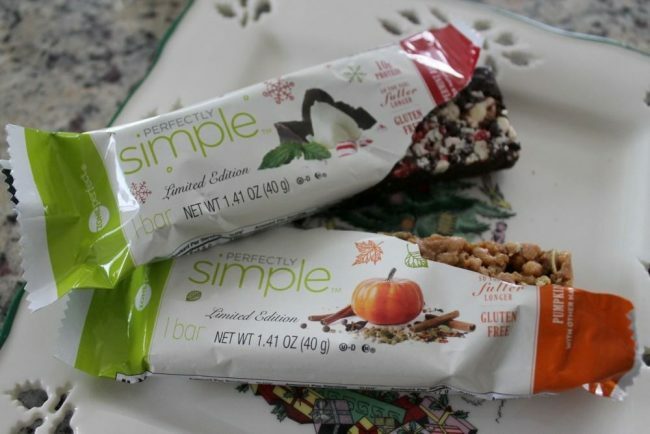 ZonePerfect Perfectly Simple Bars help you to enjoy delicious holiday flavors without the guilt. Plus, they are only 200 calories. Packed full of protein and nutrients, they give you a much needed boost of energy to complete your holiday tasks. 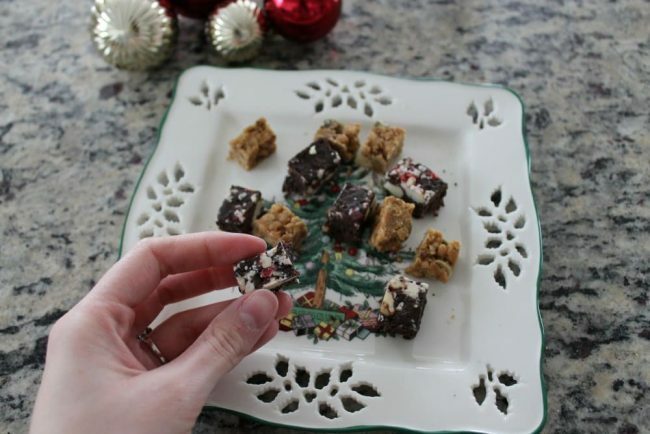 Better yet, cut them into small squares and serve them as appetizers at a holiday party! Talk about the perfect way to indulge without the consequences. Head on over to Target this Holiday season and get your Peppermint Bark and Pumpkin Chai ZonePerfect Perfectly Simple Limited Edition Bars. For other tips concerning smart eating during the holidays, be sure to check out 5 Healthy Holiday Eating Strategies. Previous Post: « Last Minute Christmas Shopping Tips! Smoothies are my favorite way to start the day. They are so delicious and good for me. Everything looks amazing! I’m always looking for great ideas for some healthy snacks. These would all be perfect. Definitely great for the holidays! These are all great snack ideas!! The holidays can be so hard to make a good snack choice with all the treats around. Yummy Everything here looks so good. Especially the salad it looks so good. Ooh these are some really fun ideas. I should give those snack bars a shot sometime! The banana muffins look delicious! I’m always looking for healthy snack alternatives for me and the kids. These ideas are fantastic! I’m going to use the pinwheel idea for our next game day. Thanks! Greek yogurt and fruit is always a great snack idea. I eat that all the time. It’s yummy. Those bars sound great. I’m always looking for something healthy that can also satisfy me. I’ll have to give these a try. I am trying to stay on the straight & narrow when it comes to food this holiday season. This could really help me do that. We drink lots of smoothies in our house. They are a great way to sneak some nutrition in there.